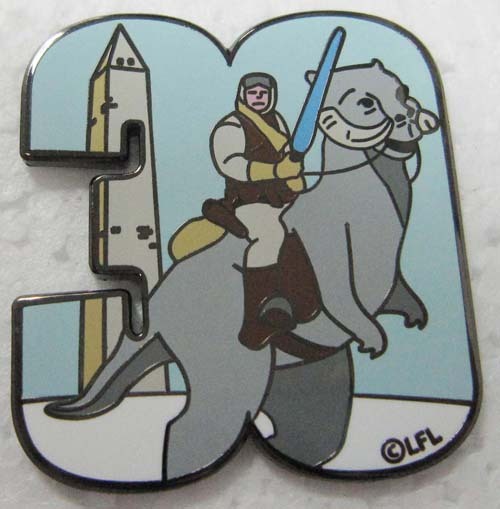 The DCSWCC 2010 Charity Pin features Luke Skywalker on his tauntaun with DCSWCC's signature Washington monument in the background. Fourth in the series of high-quality cloisonne lapel pins, officially licensed by Lucasfilm Ltd. Each pin is individually stamped and numbered -- only 1000 of these pins will ever be made! Pin measures 1.5" tall x 1.25" wide. Limited to 1000. Order yours today!